This is a super easy and super nutritious pancake recipe using our Chia Seed Flour. This chia seed flour pancakes recipe serves 3 people! Sieve the dry ingredients into a bowl. Beat the eggs until light & airy, add the milk & honey and whisk again. Fold the liquid mix into the dry ingredients. Melt coconut oil/butter in the pan. 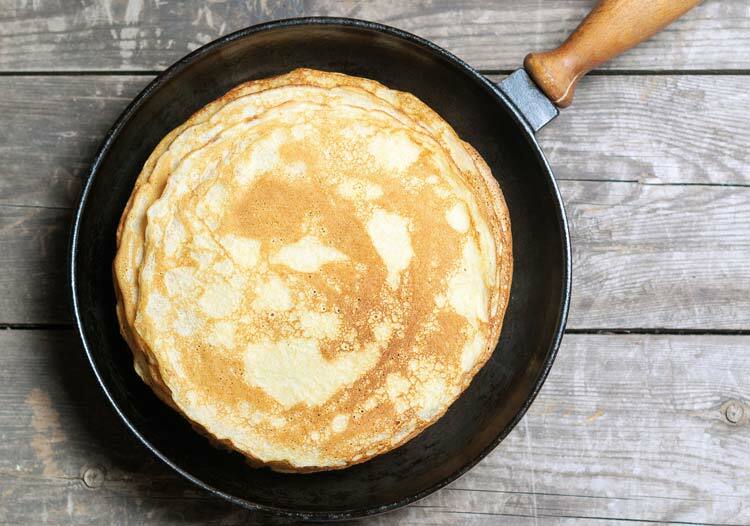 Add 2 tbsp of pancake batter – make a circular shape. Cook for approx. 4 mins until golden and flip. Cook for approx. another 4 mins. Serve with a dollop of natural yoghurt, berries or seeds – enjoy! Chia Seed Flour – Another First For The Market!